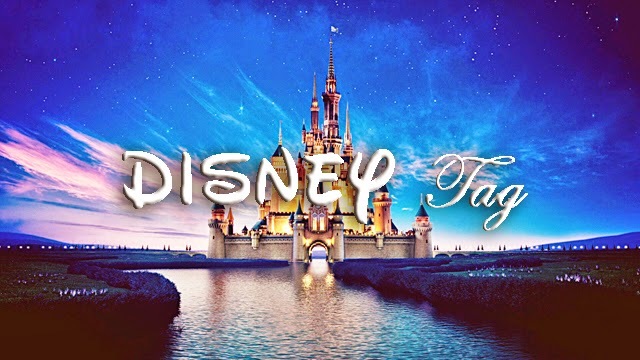 Tag Tuesday: The Disney Tag! Most of my childhood consisted of watching multiple Disney films, playing with my toys or twirling around my bedroom pretending to be a princess. And to be honest not much has changed even today so I thought I would show my love for Disney by taking the Disney tag! Sleeping Beauty. No questions asked! 2. Walt Disney World or Disneyland? 4. The first Disney movie you remember seeing in the theatres? I don't remember any before this but I think it's The Emperor's New Groove. I LOVED that film when it came out! 6. Your favourite Disney song? Ooh I can't decide that! Kiss the girl is probably the first one that comes to mind! 7. Favourite attraction/ride at the parks? It's an ongoing family joke that when I was little I absolutely loved the It's A Small World ride and when we went to Disneyland I wouldn't go on anything else! 8. What is your dream job at Disney? I'd love to be a princess but I don't think I'd be able to keep in character for so long! 9. Who's the park character you never want to miss meeting at the parks? 10. What's your most treasured Disney item? I have an old Sleeping Beauty figurine which is gorgeous but I also have a Beauty and the Beast plastic red rose from my first Disney On Ice. Oh, and I also have a Marie big teddy bear from my first Disneyland visit back in 1994! 11. Which Disney voice actor would you most like to meet? Definitely Ariel's voice actor - Jodi Benson. Her voice is amazing! 12. Favourite Disney movie that's not a classic/famous? Aren't they all famous? If not, I'd say Homeward Bound. I loved that film when I was little and I was a little surprised to see it was a Disney film. 13. If you could say anything to Walt Disney right now, what would it be? Well I went when I was about 4 so I have no idea! 15. Your favourite parade/show at the parks? The only parade I remember from when I went was the Electrical parade. It was so pretty! 16. Flounder, Sebastian, or Scuttle? Flounder! My mom has a big ol' stuffed animal of him and I've been trying to steal it off her for years! 17. Your favourite Disney memory? From visiting the park or just in general? If park then obviously the It's A Small World ride and in general, I really have no idea. There's too many! 18. Do you have a favourite pair of Mickey ears? 19. If you could, what "forgotten princess" would you add to the official lineup? I know there's probably a few other Princesses/Queens from old films but I like the official line-up so I wouldn't change it! 20. Your favourite princess dress/outfit? Sleeping Beauty OBV! Though I did used to have a cute little Belle dress when I was little and you could never get me out of it! 21. Your favourite Disney soundtrack? The Little Mermaid. So many fun songs in that movie! 22. Genie, Abu, Carpet, Iago, or Rajah? 23. Favourite restaurant at the parks? I don't really remember where we ate so I couldn't comment! 24. How did you first discover the "magic" of Disney? I grew up watching Disney films. I don't think there's anything more magical then watching little kids pretending to be their favourite character from a Disney film. 25. What attraction are you most likely to go to first when you're at the parks? I love theme parks for rides so I'd probably head there. If not, definitely the shops! Gotta get some souvenirs! OMG So many to choose from! Because I love Sleeping Beauty, I'm going to say when the prince kisses her and the whole kingdom wakes up. Tears stream when she slowly opens her eyes and smiles at him! 27. What's the saddest moment for you in any Disney film? Either Mufasa dying or Bambi finding out his mother is dead. OMG They nearly killed me! 29. If you could live in any world from a Disney movie, which would you choose? I'd say any of them. I'm not too fussed! 30. Favourite Disney musical sequence based on spectacle/animation? 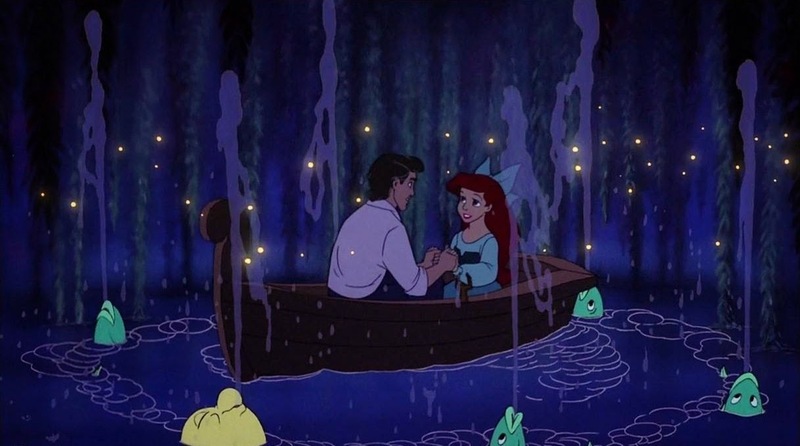 I used to like The Little Mermaid - Kiss The Girl. How is not just the prettiest scene ever? 31. Which Disney princess has the best sidekicks? Mmm I'd say Belle. I loved Lumiere and Cogsworth and I thought they were an hilarious comedy duo! 32. If you could have a party themed around any Disney movie, which one would you pick? 33. Are you the only one obsessed with Disney in your family? Or does it run in the family? Nearly my whole family on my moms side loves Disney! 34. Lumiere, Mrs. Potts, Cogsworth, or Chip? Chip :) I still have a mug of him from my Disneyland Paris visit! 35. 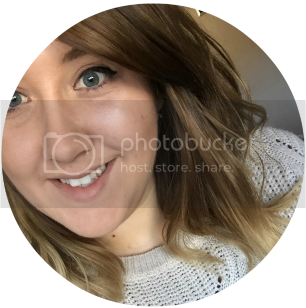 What are your top five favourite Disney blogs on Tumblr? I have to admit that I don't follow any! I will change to find me some! 36. If you could choose the plot/adaptation for the next Disney movie, what would it be? Most Disney films include an inspirational theme where people overcome problems in their life so maybe just something along the same lines. Disney films are just amazing pick me ups and I wouldn't want to change that! 37. Favourite hotel at the parks? I don't remember where we stayed when I went to Disneyland but all the different themed ones in Disney World look amazing! 38. Which Disney movie do you turn to when you're sad/upset? I don't have just one, I have a few. Any of the princess films or anything more comedy based. 39. The Aladdin show or The Little Mermaid show? The Little Mermaid cause I like their songs better! 40. Do you plan to have/have you had your honeymoon at a Disney park? I would love to but I'd need to have a word with the would-be husband! 41. Favourite piece of Disney clothing/accessory to wear? I don't actually think I have anything Disney related. 42. Post a picture of yourself that's Disney-related. I don't actually think I have any pictures of me. Unless I route out the old childhood albums and find one from when I was younger! 43. Mickey Mouse or Donald Duck? Mickey definitely. He's the original! 44. What Disney movies/worlds would you like to see in the next Kingdom Hearts game? I've never played any of the Kingdom Hearts games so any! I'm sure they'll be bumming of Frozen now :( BORE! 45. Which Disney movie, even if it's not your favourite, will always have a special place in your heart and for what reason? The Fox and The Hound. I remember watching it all the time around my nan's so I will always associate that film with her. Love Disney movies, great post! you can come and visit me when I'm working in Disneyworld, heh.